I’m typically inspired by love, and the medium can be anything. However, it just so happens that my muse usually flows through audio players. The art of rhyme and beat combined induces a pulse of energy that is just right. I think Radio Raheem expresses this sentiment best in Spike Lee’s “Do The Right Thing.” “Love” is in a constant battle with “Hate” and it almost always seems like “Hate” has won the battle and knocked “Love” out, but when you least expect it and are most exhausted and unresponsive “Love” tickles your nose. Although “Love” is beautiful, welcoming, and comfortable, those that claim to know “Love” are suspicious of any sighting of it. This is because “Love” isn’t the only thing that makes you feel good. The cunning can imitate “Love” easily for their own benefit. This is how I ingest Hip Hop. I look for elements that feature “Love.” Now these aspects of “Love” may not be compatible with other listeners for the same reasons we end up in relationships with, associate ourselves with, and simply run with different people. Obviously, we are a world of different people, but there is one aspect of “Love” that is consistent with us all, affection. Who can turn away from hugs, kisses, endearing names, and attention pointed only to you? How Does Hip Hop Love You? When listening to rap music, there is a passion, an artistic ability, a presence, and a flow that delivers affection to its listeners. The artist uses his gift and it overpowers many of the ineffective elements the he may display. This is by no means an excuse to diminish accountability and responsibility upon the rap artist, but to simply acknowledge how rappers may pull at your heart strings. Not every rapper hold all these qualities of affection. Some may have a few and some just one. Below I’ve defined these categories of “Love” presented in Hip Hop and how they are dispensed through some rappers and their motives. I can’t imagine cosigning an artists that doesn’t frequently bring his all. I mean why even be apart of the artistry if your main reason isn’t to simply to consistently push out art. The artists without passion doesn’t last very long because small obstacle prevent them from overcome and pursuing. There have been artists that have been passionate in the moment, but to have the complete fire that will allow you to continue to produce art until you die, that’s what essentially separated Mozart away from his contemporaries. We live in America and money is necessary to live, but why should I trust the message of an artist that shifts his tone to what’s popular? 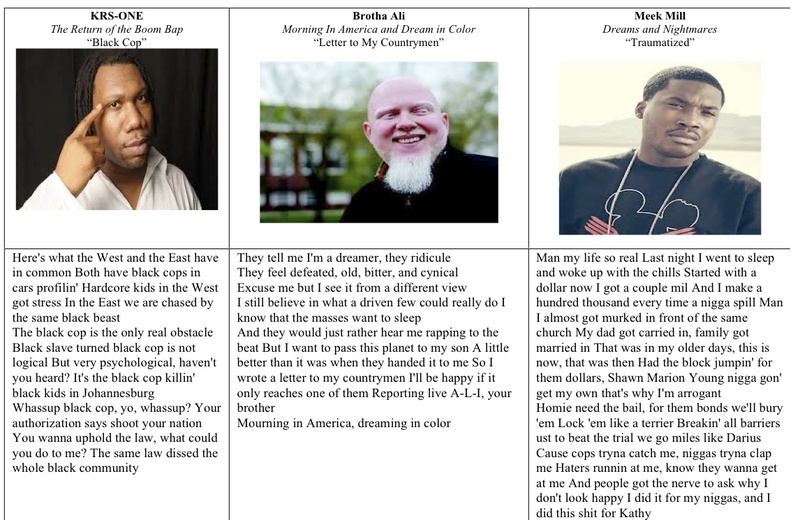 Rappers are storytellers that reach out to their consumers with messages, perspective, and ideology. It’s important that the artist care about the people he is dispensing music to; if he doesn’t he can’t be trusted. It’s understandable to pay homage to those that came before us, or even look at our contemporaries, but if you’re only known for someone else’s technique, style, or fad how do you really set yourself apart? What makes your music more significant, necessary to listen to over someone else’s? There needs to be a degree of occupation within the community of the people that support the artists. This can take place in a number of ways, but concerts shouldn’t be the only connection the artist should have with his fans. It’s important that the artist give back through time, money, investments, or any other way in which he reproduces his presence in the community. The dude needs to be nice. 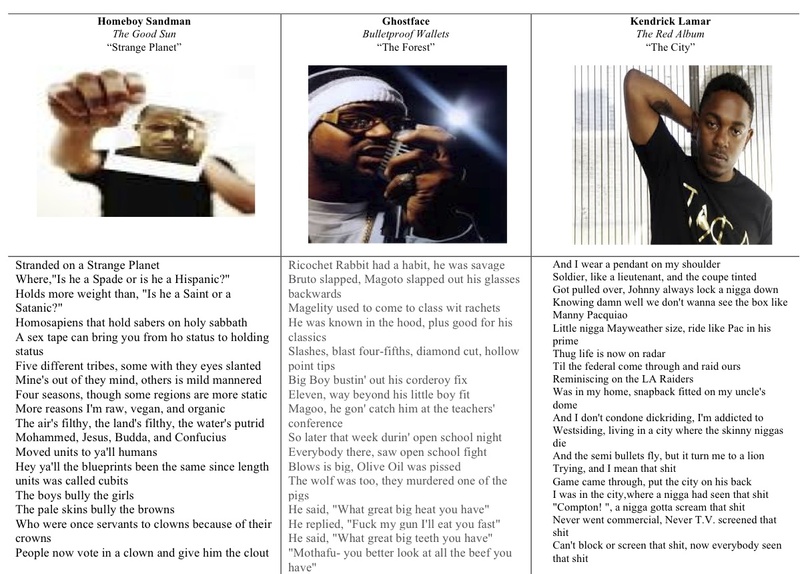 Why even listen to a rapper that is wack: it’s a waste of time. Great rappers form rhythm, is innovative, forces your attention, makes you believe. When you hear flow that is similar to so many others, that isn’t flow. Those that produce syntax that elevate to literary postulations are the ones that have studied the art, appreciate hip hip, and are trying to add to it. I’m sorry to say, but this is currently a rare occurrence. You might look at my music player and find an array of different rappers spinning aimlessly. One or two songs may be questionable, and I may not be able to immediately explain why that tune is spinning. However, I’m sure after considering the lyrics and the artist he would fit in one of the categories above. As I get older, I seem to have a need to become more responsible. That tends to mean I need to shed layers of life that place me in some form of danger, physically or emotionally. My sentiment about love has grown to be much more inclusive. It was really easy for me to object to music I grew up listening to like Biggie, Nas, Jay-Z, and others as an adult because I forgot about the affection they delivered to me as a teen. Yes, there are aspects of the culture projected that aren’t empowering, just as there are aspects of education, finance, politics, and other elements of our society that are similarly displeasing. The point is that we need to extract love out of whatever we digest, and if that isn’t possible then reject it. This may be difficult with a narrow measure of love, or even a disillusioned or an undefined view. 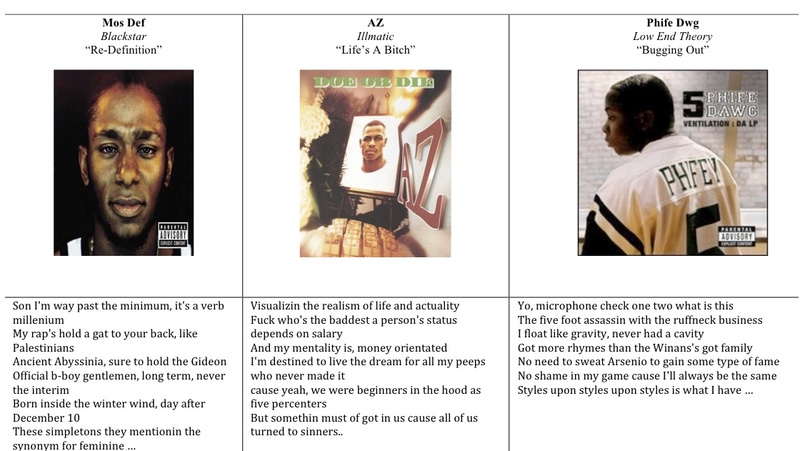 Take a good look at what your collection of Hip Hop music is doing for you, and if it isn’t loving you in some way, consider showing it the same respect. this is a great piece. great passion. love the diversity of the artists you cover too. 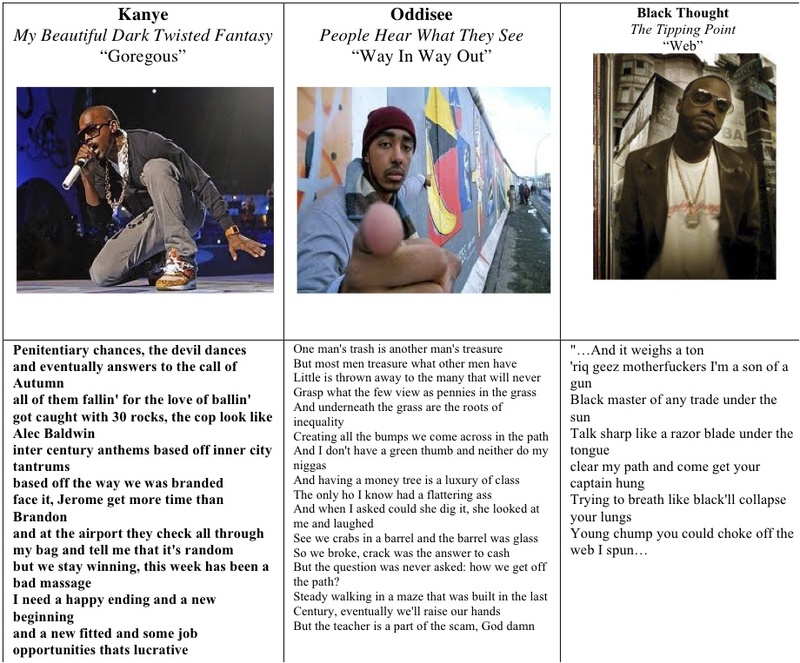 really shows hip hop’s full spectrum. well done. Wow, good points. Radio Raheem, classic. Hip hop was never my first choice for music but you have brought to light some very insightful and informative aspects of the art I never realized thank you Mateo ! Thanks for reading. I’m glad you enjoyed. Please share and come back. I’m just geting started.